Pilgrims are popular this time of year, but there is a lot more to Massachusetts genealogy. As Thanksgiving approaches, let's take a look at some of the Massachusetts collections on Archives.com. 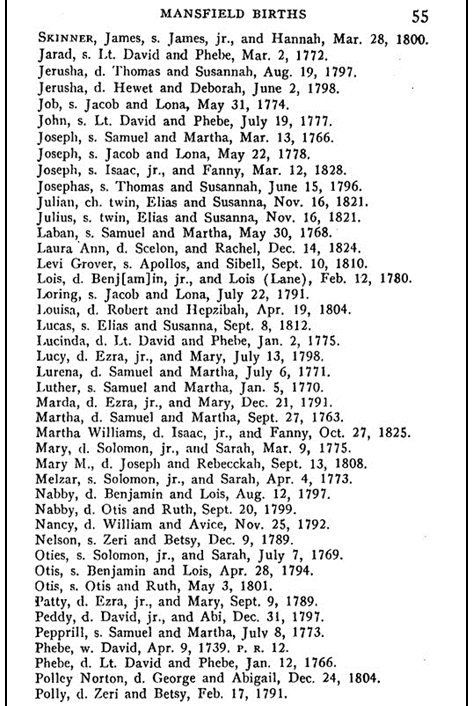 If you have early ancestors from the Bay State, there are three collections you'll want to check out: Massachusetts Birth Records, Massachusetts Death Records, and Massachusetts Marriage Records, all of which cover 1659-1850. All three collections have links to images of the published town vital records. Information varies, but usually includes the names of the parents. Occupations and other information (such as "widow of <x>" or "2nd wife") are sometimes listed. 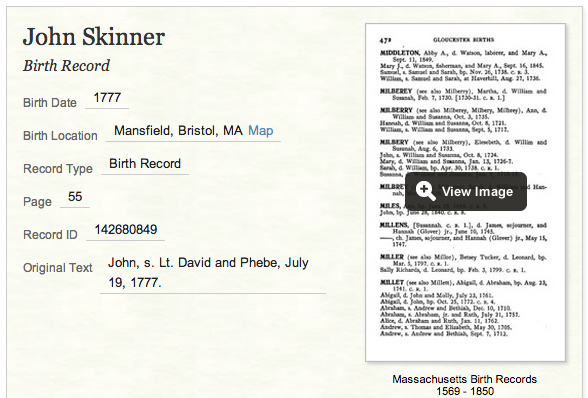 The record for the birth of John Skinner in Mansfield in 1777 tells us that he was the son of Lt. David and Phebe Skinner. If you have more recent Massachusetts ancestry, the Massachusetts Death Index covers more than 2 million deaths from 1970-2003. Information, when available, includes the person's name, date and place of death, birth date, and birth place. You can find a list of all of Archives.com's Massachusetts collections here. Happy Thanksgiving from all of us at Archives.com!